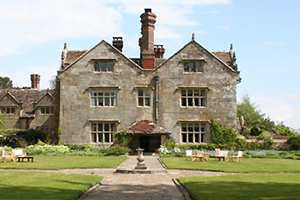 Country house hotel Gravetye Manor in West Sussex will reopen in April following a three-month refurbishment. Originally built in 1598, Gravetye Manor closed in January for a makeover that includes new bathrooms and infrastructure across the hotel. Its 35 acres of gardens are also undergoing a long-term restoration project, along with interior decoration of its 18 bedrooms. Three meeting rooms include: the wood-panelled private sitting room, which can accommodate 12 boardroom-style; the main sitting room, for up to 25 theatre-style; and the private dining room for up to 16. Gravetye Manor general manager Amy Gleadow said: "Gravetye Manor is an extraordinary house with spectacular gardens steeped in history. The restoration will see its return to splendour with the loving attention it so thoroughly deserves."